Sounds like a good read? When are they going to announce the winners? 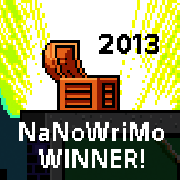 Anyone who submitted 50,000 words on the NaNoWriMo website is considered a winner. I don’t think the NaNoWriMo staff officially announce winners, though, since it is more of a personal challenge rather than a competition.